A Tip About Peonies and Other Spring Flowers — Sweetchic Events, Inc. If you are newly engaged and haven’t yet picked a wedding date, here’s something to consider: If you LOVE Spring flowers… then I highly recommend you have a Spring wedding. In my experience, when it comes to flowers, most brides fall into one of two categories. 1. 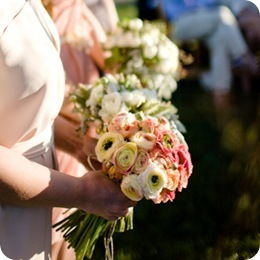 The bride who LOVES flowers and is relatively knowledgeable about the flower variety that she likes. This bride wants what she wants regardless of season, and puts in specific requests to her florist. Peonies in December? Sure, it’s Spring somewhere in the world! 2. Then there is the bride who is unsure about flowers (besides the fact that they are pretty!) and would rather her florist make the judgment call regarding what flowers to use, based on seasonality. The most commonly requested flowers (besides roses) are almost always Spring flowers. And if you are a summer/fall/winter bride and you request those spring flowers, it can drive up your floral bill exponentially! Not to mention, there are some blooms that are pretty much IMPOSSIBLE to get at certain times of the year. I was told by all the Chicago florists I met with that peonies and ranunculous in September are unfortunately, a pipe dream. So what are some of the most loved Spring flowers? PEONIES – My dream wedding flower, see here for more of my love for peonies. RANUNCULOUS – Lovely and dainty. I especially love the ones with different colored centers. And they make the most charming boutonniere! TULIPS – The epitome of Spring. ANEMONES – Not to be confused with a sea anemone, these oddly named flowers are beautiful, bold blooms with black centers (say that 5 times fast!). Utterly sophisticated, ooh la la! 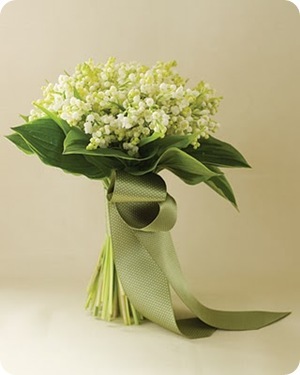 LILY of the VALLEY – A bride that requests a bouquet of solely Lily of the Valley is classic, classic, classic! 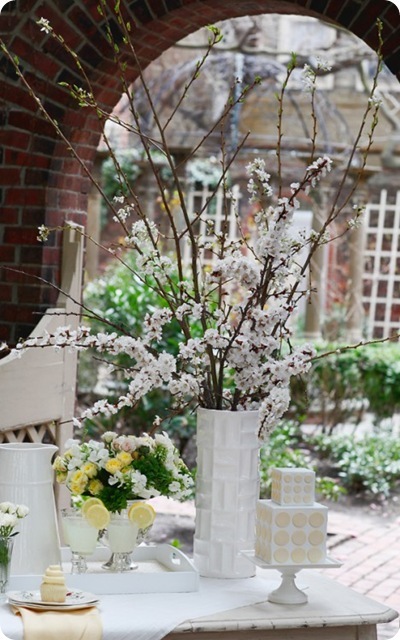 CHERRY BLOSSOM – The elusive cherry blossom has been the inspirationand theme for many a wedding, but it can be difficult to actually get your hands on these gorgeous, flowering branches! And finally, a picture of one of the most perfect spring bridal bouquets I have ever seen, by my friend and Chicago florist extraordinaire, Grace from Vale of Enna Floral Design. Peonies, ranunculous, and tulips, Oh My! If you like what you’ve seen… then maybe a Spring wedding is calling your name!